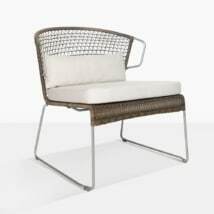 A grand design with a contemporary attitude; the Phileep Outdoor Arm Chair is making waves as the new popular design to come out of Teak Warehouse’s excellent collection of outdoor furniture. 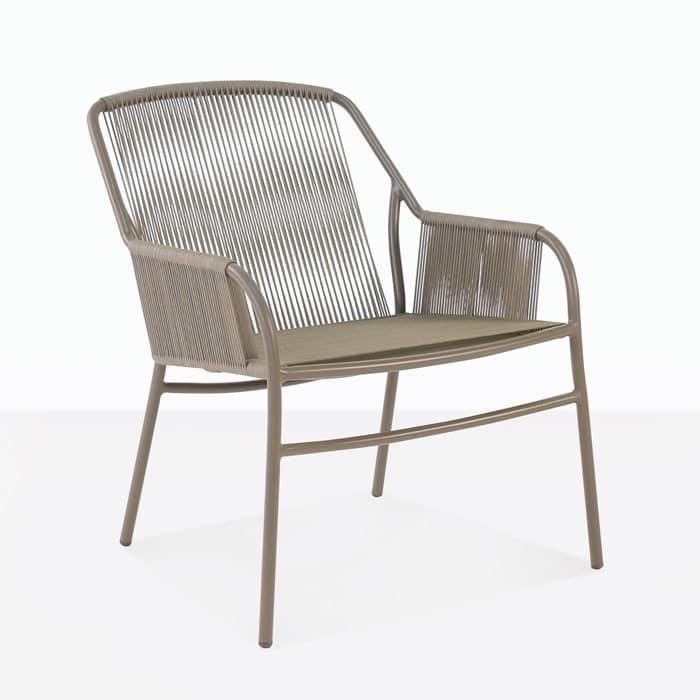 The Phileep Outdoor Arm Chair features a beautiful, minimal design that uses a high-tech cordage with outdoor capabilities paired with a thin, modern, powder coated aluminum frame to give a lightweight, functional outdoor arm chair with so many possibilities. A slim and contemporary frame meets up with tight weave from Ecolene® to ensure you have the perfect patio style outdoor arm chairs when you need them, and that they stay beautiful for a very long time. 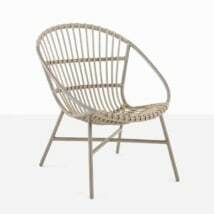 W27" x D30" x H32"
Ecolene® is a new brand to Teak Warehouse, providing us with amazing cord and wicker furniture that makes an impact in your outdoors space. Ecolene® make poly-synthetic fabrics which are UV treated, strengthened and woven into stunning materials which make even more stunning furniture – and – if you couldn’t tell by the name – they are eco-friendly! Meaning you’re making a good impact on your environment! 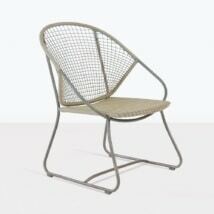 Powder-coated aluminium is the other core material that completes the Phileep Outdoor Arm Chair. Being Powder-coated, it is protected from the elements – all resulting in glorious, easy to clean and maintain outdoor furniture. 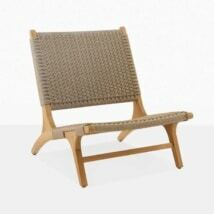 Teak Warehouse has fast become America’s leading supplier of outdoor furniture. We ship to every State using white glove delivery services. It’s easy for us to provide you a quote, either fill out an order online or call us and we will swiftly provide you with a comprehensive quote for your goods and set up of your items. Do you need to build an outdoor living room? Or perhaps a dining space for long lunches and decadent dinners, maybe you have a pool, a small garden, a large veranda? Teak Warehouse has everything you need to combat the dream of turning your outdoor area into a stunning extension of your living space. Choose from sun loungers, relaxing chairs, dining tables and chairs, pots and planters, deep seating and much more all in a range of fantastic, easy to manage products completely suitable for the outdoors. As well as Ecolene®, we also carry Viro® and Rehau® All Weather Wicker, we have A-Grade Teak, Raw Concrete, Reclaimed Teak, Resin, Stainless Steel and marine grade mesh. So all you have to do is dream it, we are confident we will achieve it for you! Create a divine relaxing nook for you and your friends by placing four of the Phileep Outdoor Arm Chairs around a Raw Concrete or a Reclaimed Teak low Coffee Table for instant contemporary glamor. Perhaps you need a couple of comfortable chairs around the pool? This is the chair for you! Just pair up the Phileep Outdoor Arm Chair with an Accent Table of your choice and get ready to enjoy lounging in style! 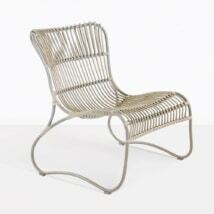 The Phileep Outdoor Arm Chair is a gorgeous addition to any home. Enjoy the hint at mid century style living in this airy, modern chair.